The safety belt is easy to use and can be operated with one hand. I live in a multi-storey house, is there a suitable stairlift? Yes! We offer a range of solutions that can be specifically engineered and tailored to your needs. Please give us a call on 1300 134 011 to discuss the best fit for your situation. In the case of power shortage or blackout, how do I move between floors? All stairlifts are equipped with an emergency battery. In the event of a power shortage or blackout, the batteries will power the stairlift so that you are able to move between floors freely. In most cases, the batteries carry enough charge to last a few days. What if the person using the stairlift is unable to use the controls? All the stairlifts in the Direct Lift range use either a joystick or buttons to control the lift. Many models also have a remote control. Hand held remote controls are able to drive the lift up and down with a simple touch of button. An attendant control option is available with the Flow2 Stairlift. If you require more specific information about any model please contact our staff on 1300 134 390. Won’t the weather damage my outdoor stairlift? Both the Levant Outdoor and Hawle Outdoor Curved Stairlifts are built to withstand the varied climatic conditions in Australia. The seats are made of durable UV resistant plastic. 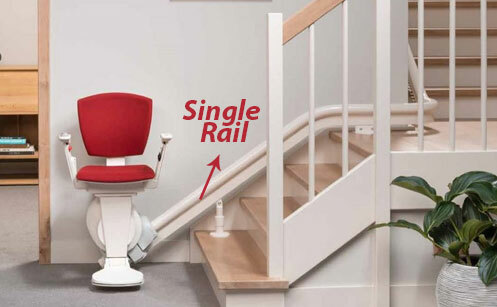 The lightweight aluminum rail is anodised which keeps the surface clean and the shrouding protects the internal workings of the stairlifts. The switches are also water proof and both models are supplied with a protective chair cover. The Levant range of straight and curved stairlifts are designed to travel staircases as narrow as 600mm. The different models vary in gradient from 28 degrees to 70 degrees. The Hawle Curved Outdoor Stairlift will travel to a maximum gradient of 75 degrees and can be installed on a staircase as narrow as 750mm. We recommend the occasional wipe down of the unit and rail with a damp clean cloth, along with an annual service. 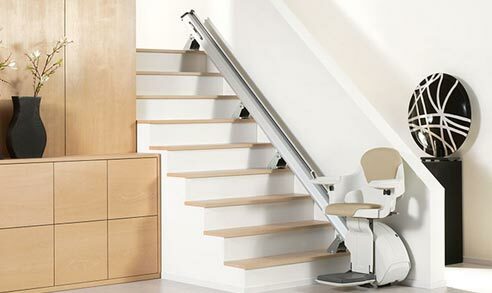 Will a stairlift work for someone who uses a wheelchair? Yes! A stairlift can be used by someone with limited mobility. 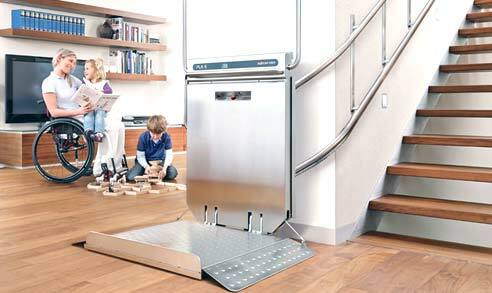 A low footrest and optional foldable curve arms allow easy transfer from the wheelchair to the stairlift. 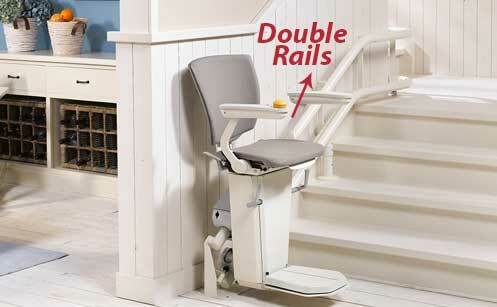 The retractable seat belt ensures a safe ride and the choice of stairlift controls allows for easy operation. We also supply a range of wheelchair lifts that are specifically designed for use with a wheelchair but are also suitable for carrying a mobility scooter, person with a walker or even goods. Speak to our staff to discuss suitable options. Yes! All our stairlifts are covered with a three year warranty and the batteries are covered by a 12 month warranty. Should anything go wrong with your unit, please contact us to arrange services.